This month, China’s government granted Ivanka Trump‘s company preliminary approval for five additional trademarks. The development comes as President Donald Trump continues holding trade negotiations with the Asian country. 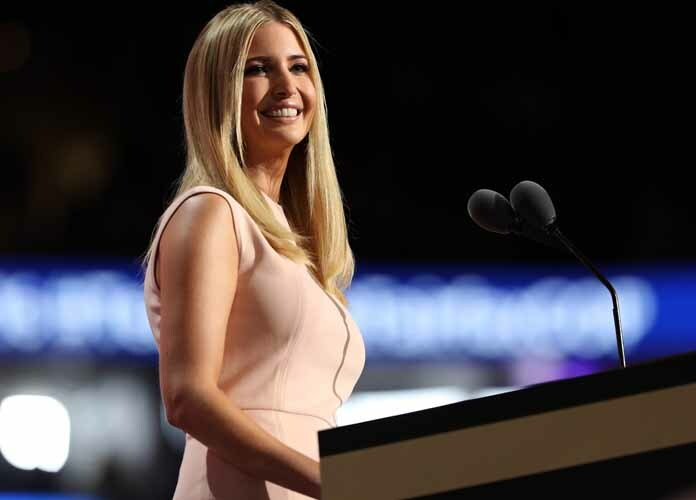 The new trademarks the first daughter was granted include child care centers, wedding dresses and sunglasses, as well as one trademark for brokerage, charitable fundraising and art valuation services. The applications for these trademarks were filed in 2016 and 2017 and could be completed within 90 days, barring any objections. China previously approved Ivanka for 13 product trademarks late last year. Ivanka’s intellectual property holdings have been one of many subjects related to the Trump family that have raised ethics questions. Her father has been locked in a heated trade war with China for several months, after he raised tariffs on many imports from the nation. In China, court decisions are typically influenced by the ruling Communist Party’s will. Last May, Donald Trump said he hoped to “save jobs” at Chinese electronics firm ZTE, a company from which he initially banned exports. “The sheer number of foreign trademarks Ivanka Trump has gotten while working in the White House would be troubling enough, but the fact that she just got one for charitable fundraising when her father’s namesake foundation — which she served as a board member for and is closing in scandal following a New York Attorney General investigation outlining numerous legal violations — is especially troubling,” explained Jordan Libowitz, a spokesman for watchdog group Citizens for Responsibility and Ethics in Washington. In July, Ivanka’s fashion brand shuttered. White House counselor Kellyanne Conway also raised questions about a potential ethics violation when she promoted the first daughter’s brand in a interview on Fox & Friends in February 2017, just weeks after Donald Trump took office. “Go buy Ivanka’s stuff,” Conway said in the interview. Ivanka was also caught in an ethics controversy late last year when it was discovered she used a personal email account for government affairs. The news drew comparisons to the email scandal Hillary Clinton became engrossed in during the 2016 election. Ivanka was also reportedly involved in negotiations for room rentals at the Trump International Hotel in Washington by prominent Trump donors shortly after the 2016 election.